Widespread community interest motivated Jensen Beach residents to raise funds for the creation of a neighborhood library. 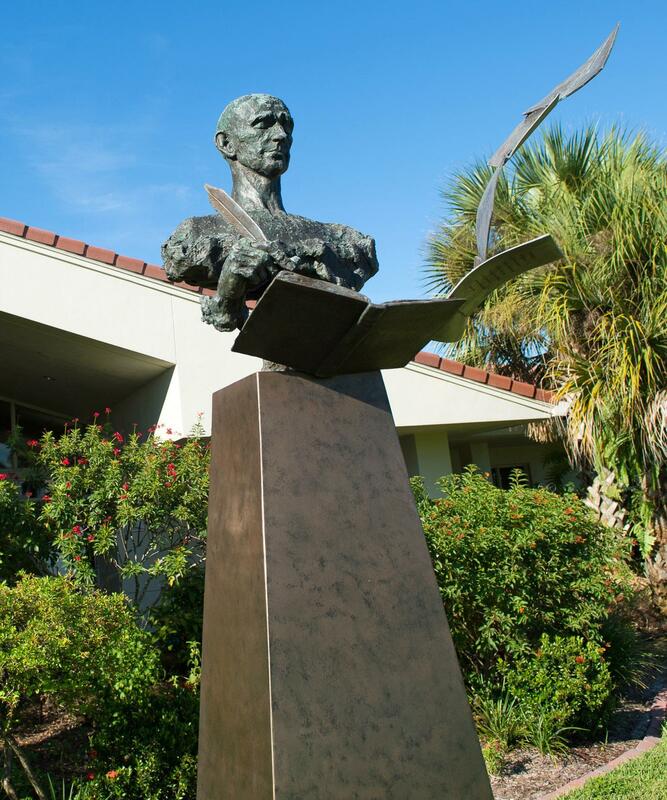 The closed U.S. Post Office on Riccou Terrace provided an excellent location and the Jensen Beach Library was opened in 1989. The increase in population and demands on the library made the residents realize that a larger facility was needed. A new site was selected and the library was designed as a one story 10,000 square foot building that is graced with high ceilings. The Hoke family, generous with their time and gifts, contributed a substantial donation for the library. To honor their generosity, the Hoke Library opened in 2002. The Garden Club of Jensen Beach also donated their expertise and talents for the creation of a butterfly garden on library grounds. Local artist Ed Fisher contributed an original acrylic painting, Savannah's Clan, which reflects the tropical beach community. Thursday: Noon to 8 p.m.